Get rid of those broken capillaries! 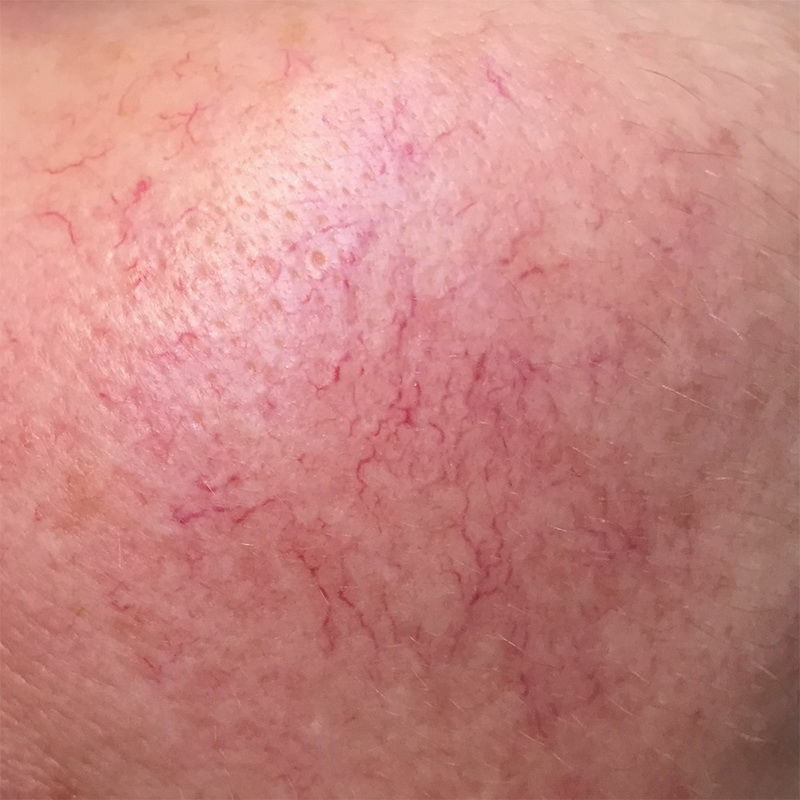 Broken Capillaries are enlarged blood vessels that have widened due to a weakness in the vein wall or a problem with the valves that control the flow of blood. Broken veins are the small, superficial purple or red veins stretching like a web under the skin. Overexposure to the sun, smoking and alcohol are believed to contribute to the dilation of these veins, especially those found on the face. Specialist Skin & Laser Clinics treat broken capillaries with the Candela technology. The laser light effectively collapses the veins and broken capillaries without doing any damage to the surrounding outer layers of skin. The laser light is preferentially absorbed by the red colour in the blood which flows in the veins. This light converts to heat, causing shrinkage of the vein The Dynamic cooling system is used to eliminate your downtime by preventing redness, or bruising. The number of treatments needed, will depend on the severity of the veins you wish to treat. Smaller veins respond more quickly to treatment. At Specialist Skin & Laser Clinics we recommend 2 – 6 treatments with 4 – 8 week intervals to reach your goal.